When one is at the computer all day long, having the right setup is serious business. 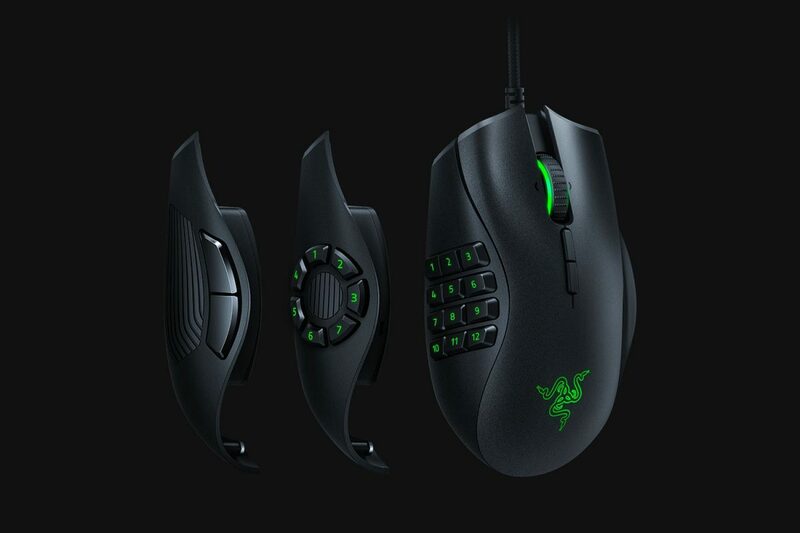 From gaming and work purposes to surfing the internet as a casual user, the mouse is perhaps the most personal PC accessory – after all, almost every action requires a click to get around. Both the trackpad and touchscreen can act as alternatives, sure, but there’s just something about using them that leaves the tracking experience much to be desired. Unlike the choosing of a graphics card, where performance is dictated by fixed specifications, picking out the best mouse is quite the subjective affair. 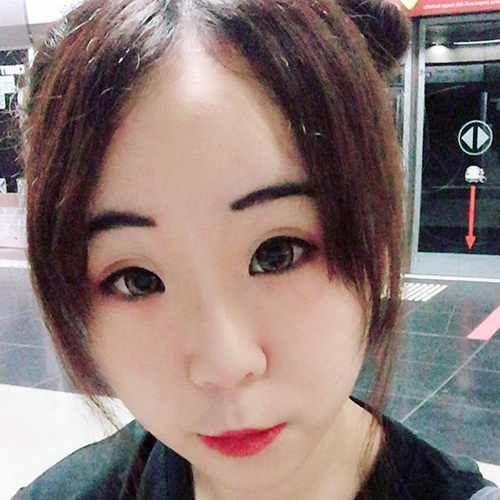 In fact, the decision-making process can be likened to that of selecting the best mechanical keyboards, which sees many factors coming into play, such as handedness, hand size, comfort, precision, gaming features, and the like. With dozens of new models available on the already saturated market, however, separating the wheat from the chaff can prove to be an uphill task. To ease the difficulty of doing so, here’s a quick guide to some of the best wired mice out there, catered to the resident gamer and productive worker alike. 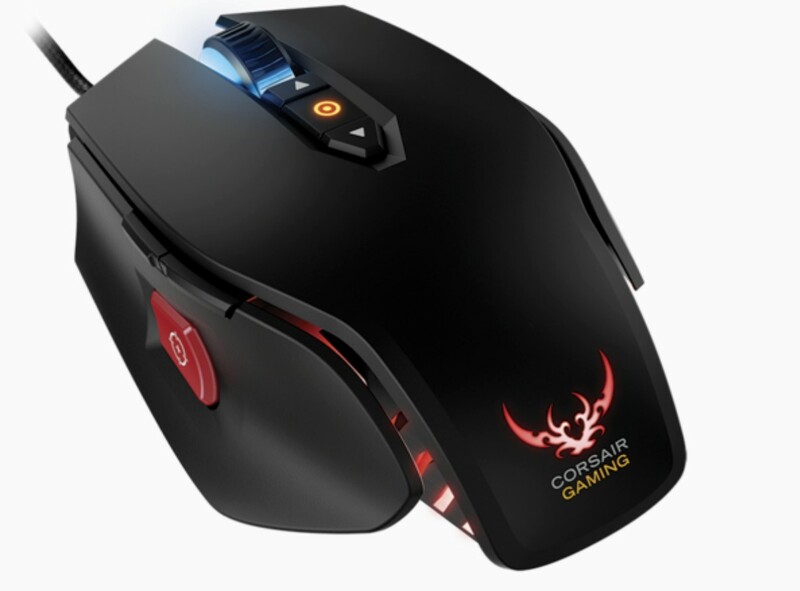 Specially tailored to the fast-paced nature of first-person shooter (FPS) titles, the Corsair M65 RGB Elite comes equipped with a multitude of features that run the gamut from an 18,000 DPI sensor and full-range RGB lighting, to a comfortable clutch suited to different grip types (bear claw, palm, etc). What sets this slick bad boy apart, though, is a dedicated, ergonomically-placed sniper button designed to reduce sensitivity for popping off those deadly headshots. Make no mistake, the Logitech 300s’ low price tag isn’t an indicator of an inferior build, but instead points to its four-year presence on the market. 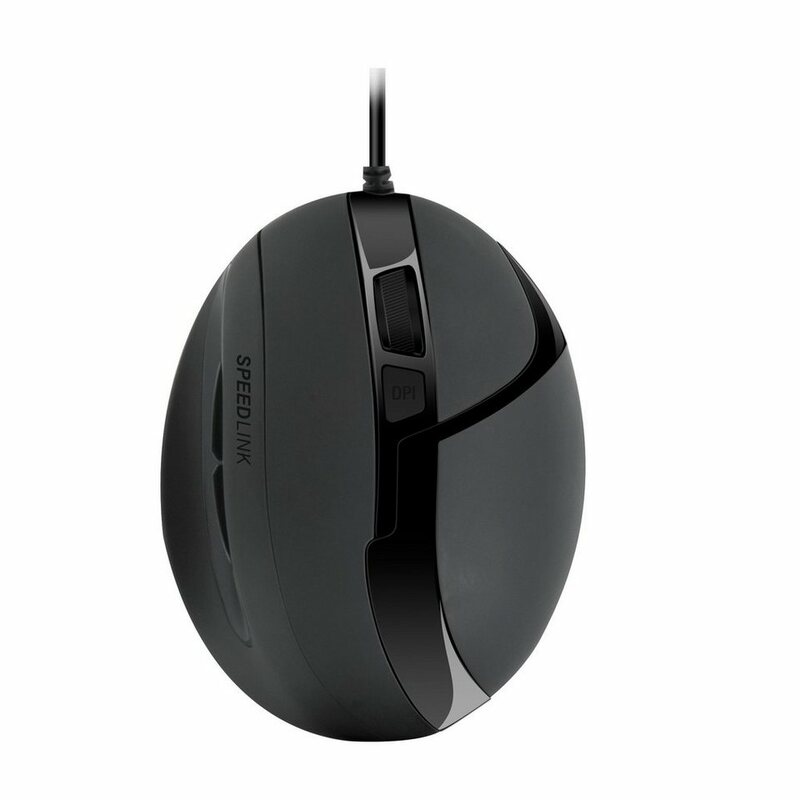 It’s easy to see why the svelte, compact mouse still remains one of the most popular choices in the community – in addition to boasting gaming-friendly features like onboard profiles, programmable controls, and a high-grade optical sensor, it’s also comfortable, responsive, and reliable in the long term. Throw in an ambidextrous design, and that’s certainly more than one can ask for at that price point. 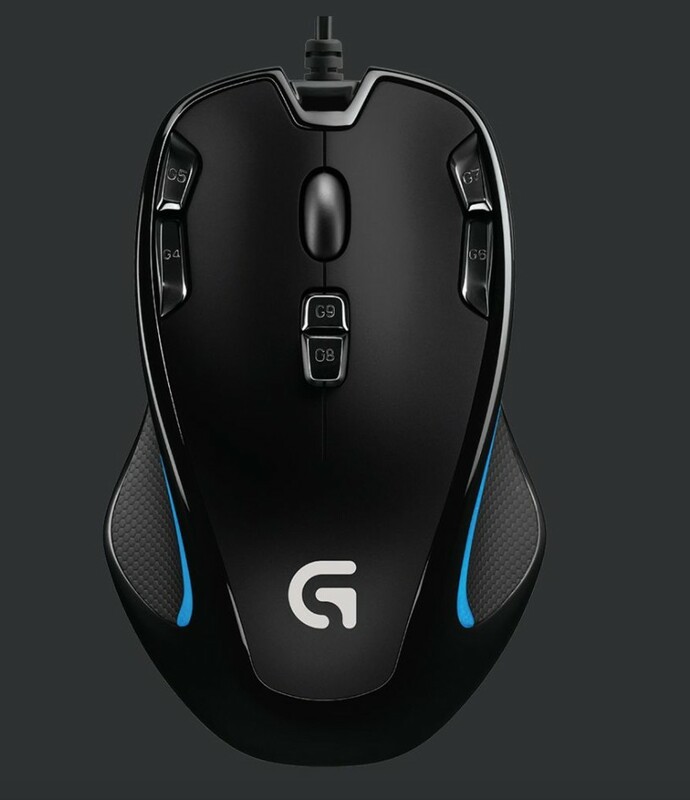 The Logitech G502 Proteus Spectrum is every gamer’s dream. 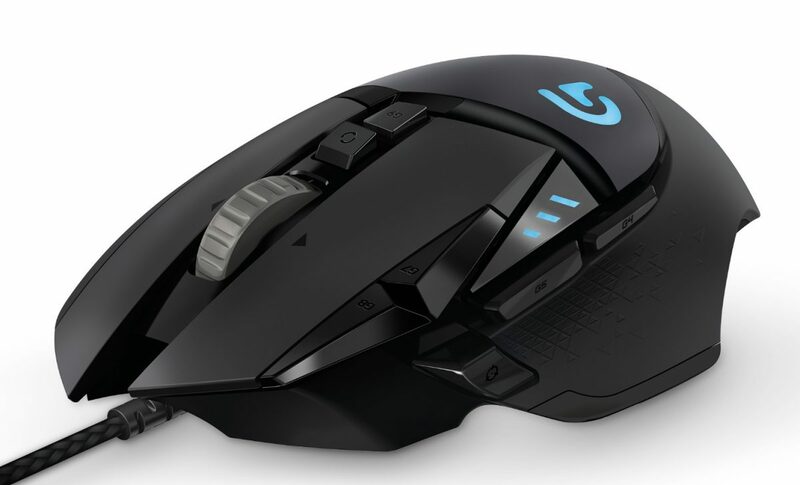 Featuring a masterful blend of stellar performance, great feel, and classy, futuristic aesthetics, this gem of a mouse is able to handle various genres with much grace, which speaks volumes of its versatility and quality. The option to switch between a resistant or near-frictionless scroll wheel makes for a nice, nifty touch, too, as is the flexibility to adjust the peripheral’s weight. Razer’s DeathAdder series has grown into a household name, so it’s hardly a surprise that new iterations are being pushed out year after year. 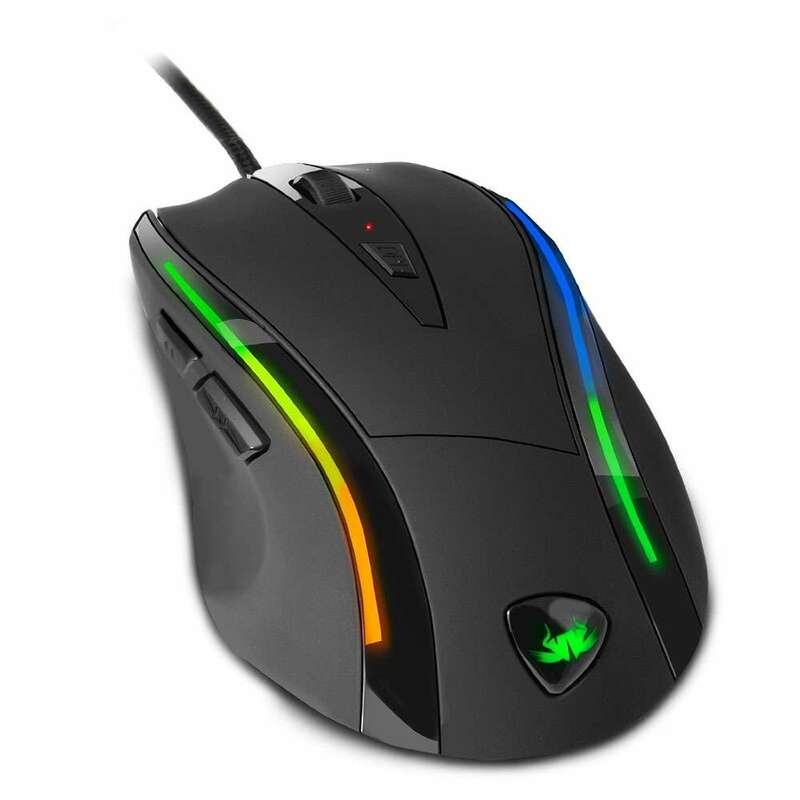 The Elite, in some ways, does feel and look like a refined version of the DeathAdder Chroma, but comes with two additional features in tow: a clickable scroll wheel, and two buttons just beneath it for adjusting DPI sensitivity on the fly. 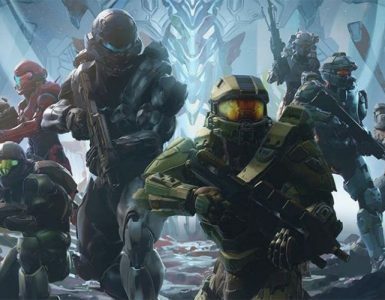 It’s convenient, comfortable, and extremely versatile, which translates to impressive in-game performance across various genres, including FPS, real-time strategy (RTS), and role-playing game (RPG). 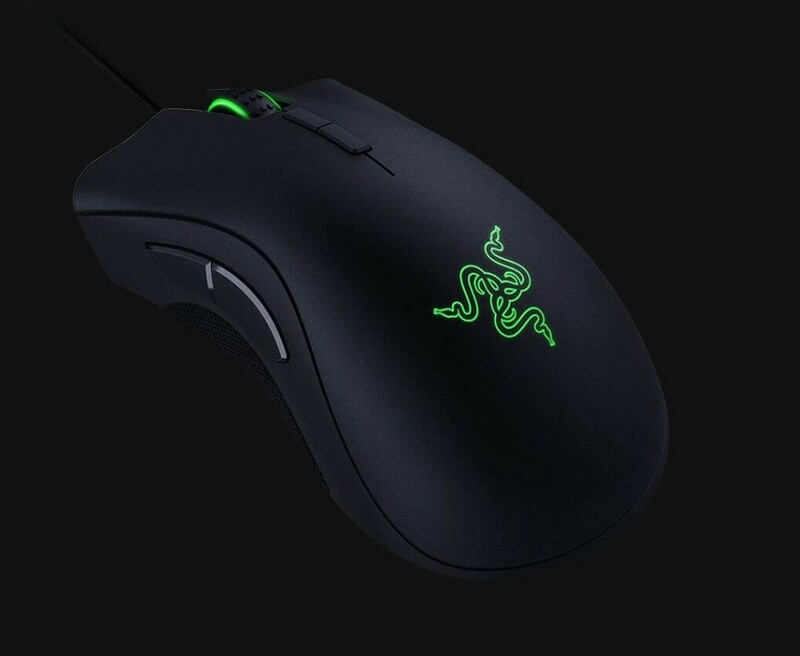 Where Razer’s DeathAdder is the weapon for FPS players, the Naga Trinity serves as a trusty companion to massive multiplayer online game (MMO) enthusiasts. The flexibility to swap between three side panels means players can choose to have two, seven, or 12 thumb buttons at command, such that gameplay and user experience extends to massive online battle arenas (MOBAs), action-slash-adventure titles, and everyday productivity as well. 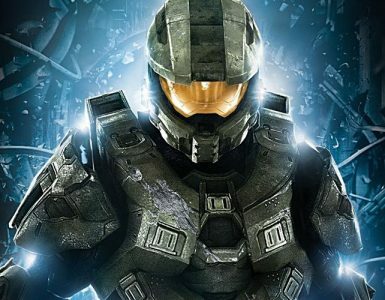 Shooters are perhaps its greatest weakness – while equipped with a top-notch PixArt 3389 optical sensor, its heftier body doesn’t quite allow for precision. 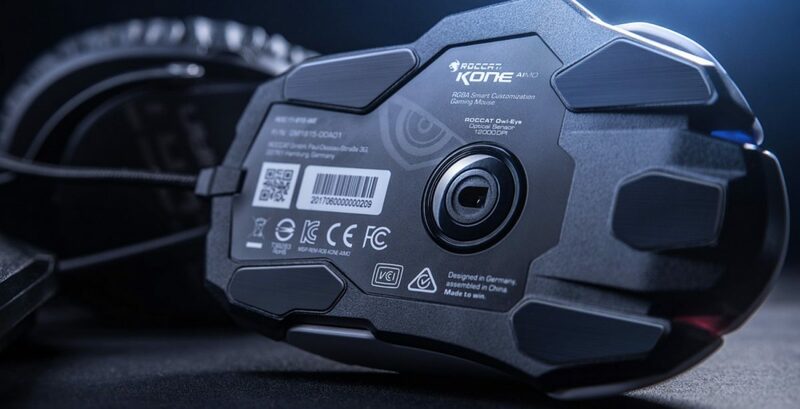 The Kone has always been Roccat’s pride and joy for mice releases, and the Aimo once again proves its supremacy with a crisp, stylish build, impressive sensor, and exceptional performance. Equipped with an adjustable 12,000 DPI setting and a one-millisecond response time, this beast of a mouse is deadly fast and precise – under 2,500 DPI, at least, because the smoothing becomes more obvious beyond that, which can affect the overall accuracy). 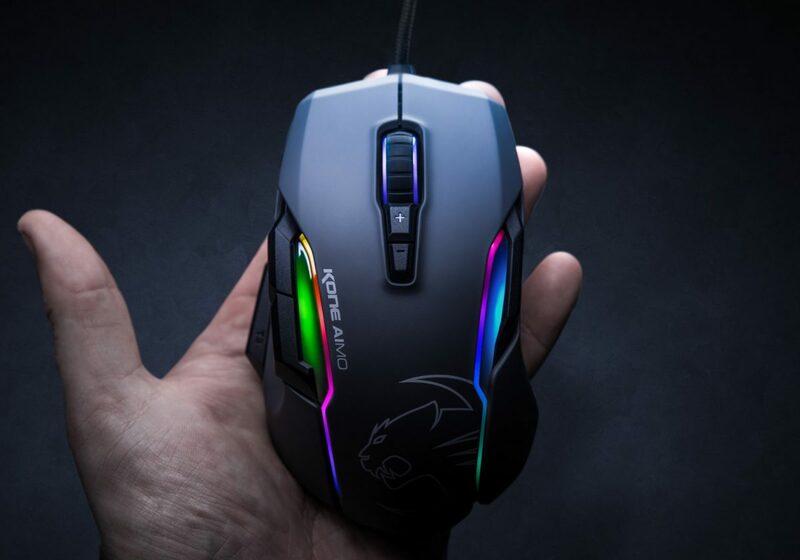 A greatly, satisfyingly functional mouse, the Roccat Kone Aimo caters to both left- and right-handers as well, thus placing it as a jack of all trades…or rather, a mouse of all trades. Praised for bringing something new to the table upon its official launch, the SteelSeries Rival 600 is especially known for its adjustable heft through eight steel, four-gram weights, as well as the automatic calibration of its liftoff distance that seeks to keep the player’s aim straight while off-surface. Boasting a beautiful angular design with tasteful illumination, the mouse does a fine job straddling between appealing aesthetics and top-notch performance across the board. This one’s for all the southpaws out there. While most ambidextrous mice usually favour one hand more than the other, the SteelSeries Sensei 310 is equally comfortable for both dextral and sinistral users, courtesy of its double silicon-clad grips and intuitive thumb buttons. It’s fast and responsive as well, which should make flicks and snipes an easier affair – the flexible customisability of RGB backlighting and performance settings (individual game profiles, DPI adjustments, etc) makes a nice touch, too. A highly affordable alternative to some mid-range models on the market, Sumvision’s Nemesis Kata is sufficiently well-equipped at its price tag. Armed with customisable weight cartridges, the mouse’s overall feel can be switched up according to the user’s preference, while its three additional buttons allow for the re-mapping of functions, such as activating a reload in game, or controlling the volume levels. 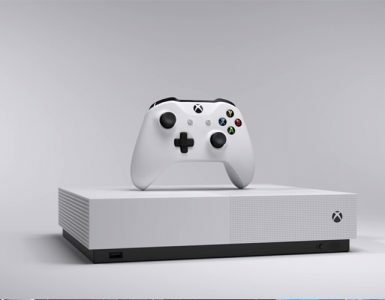 It does bring about some positive acceleration during gameplay that could affect precision, but it’s a flaw easily ignored by the low price, especially with its decent capabilities, multi-functionality, and iOS compatability. Fans of the CS:GO esports scene would be familiar with this. 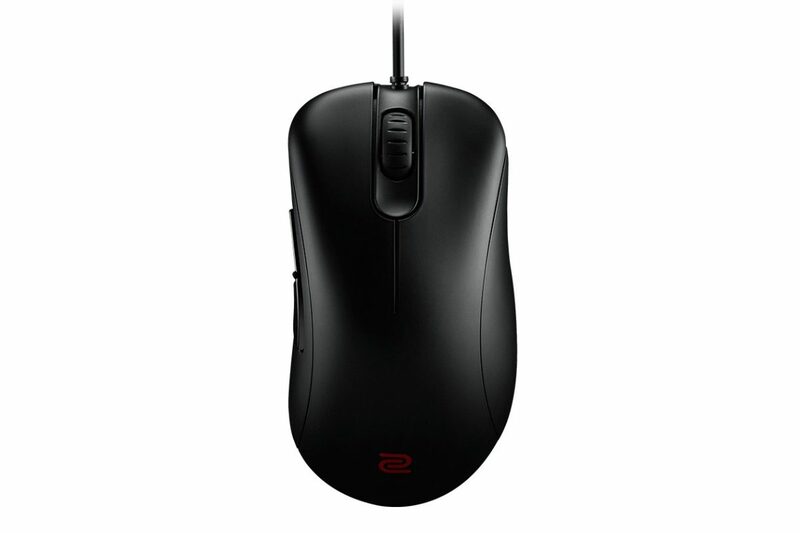 A hot favourite among the shooter professionals, the Zowie EC2-B is the refreshed iteration of its EC1-A predecessor, and sports the same shape, weight, and finish. The main difference, however, lies in the upgraded optical sensor that minimalises tilt-slam and spin out issues found in its older sibling, alongside an improved scroll wheel and better side buttons. 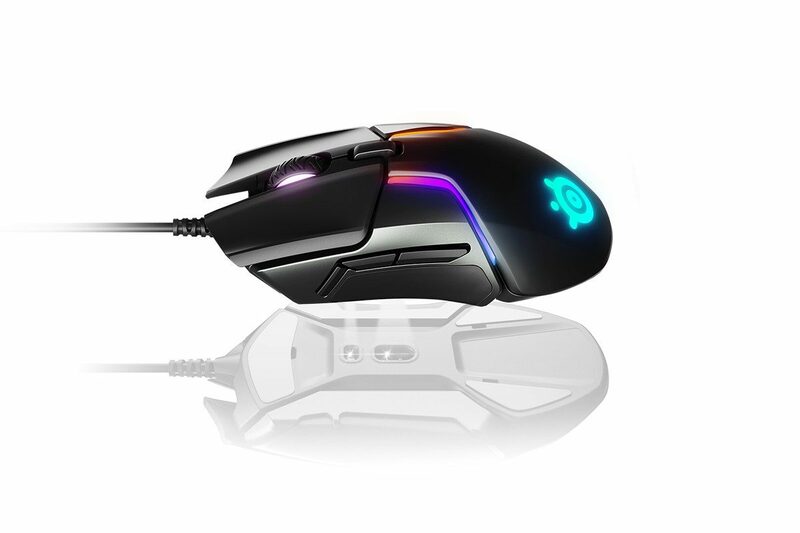 Compared to other gaming mice, the EC2-B doesn’t quite stand out with its unassuming design, but its lightning-fast, exceptional performance on the field certainly paints a different picture. Ah, the return of a well-known classic. 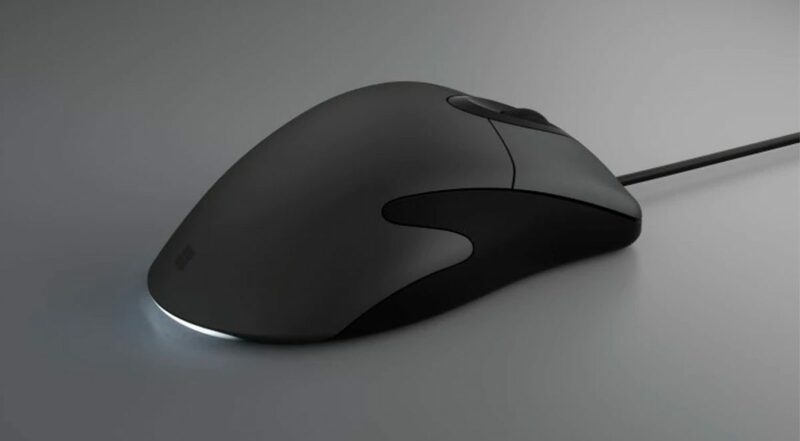 The Microsoft Classic IntelliMouse strikes back with a fresh, modern white lighting effect, while retaining the best parts of its original counterpart: excellent tracking capabilities, and a lightweight, ergonomic design. Its DPI range has also been bumped up to 3,200, which should suffice for some light gaming, but the mouse is designed more to be a productivity workhorse, though, and thankfully it does get the job done well. Comfort reigns over speed when it comes to the Speedlink Obsidia Ergonomic Mouse. Sporting a rubberised finish and smooth recess on the left side, the palm-filling dome is, unfortunately, made for right-handers only. Within the space resides two buttons that work as navigation controls, and the accompanying DPI button on the mouse’s surface means users can adjust the mouse sensitivity to their liking. Naturally, it’s by no means a whip-fast headshot machine, and instead serves as a smooth, comfortable operator, which would be more desirable in a workplace setting. There’s no fixed formula in seeking out the perfect mouse. With demands and personal tastes varying from one individual to another, the process is a highly subjective one that requires a little exploration and understanding. The above list may be used as a guide, but do feel free to branch out and explore more options, especially for those who are looking to fulfil more specific requirements, such as ambidexterity and iOS compatibility. Perhaps the wireless mice market could prove to be a better hunting ground?